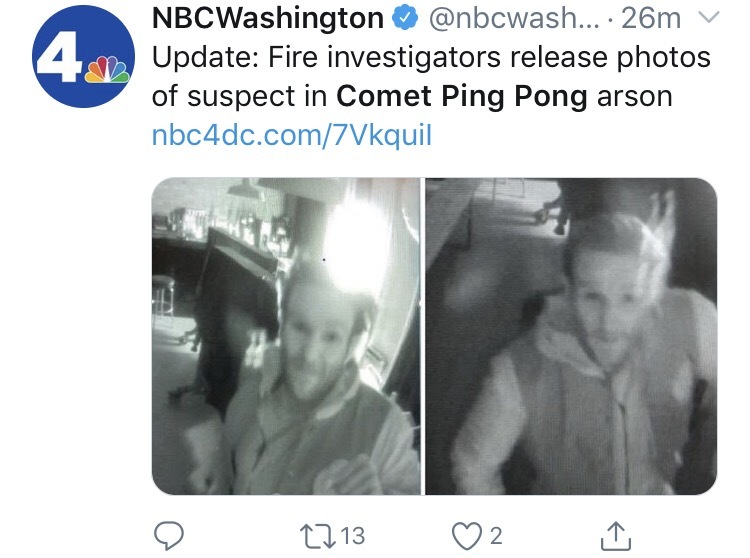 On Jan 24, an unknown person walked into Comet Pizza while it was open and people were inside, squirted a flammable liquid onto the back curtains and set the curtain on fire. A fast-reacting person with a fire extinguisher got the fire out before it could spread, saving the building and possibly many lives. As of this writing the arsonist is still at large.